Even though it had been raining when we left Siena only thirty minutes ago, the strong heat in Montalcino burned away all the water until very quickly there was steam rising from the road. The grapes had a good drenching and now had a moment to ripen under the intense sun. I took my coat off and walked over to the other side of town, which was mostly in shadow. Like most of this renaissance landscape, for the vineyards on the hillside it is about light and shade. The vineyards follow down from the top of the hill from all sides, each face the sun from sunrise to sunset in their own way. Just from the change in weather from drenched to heat, it is easy to see how the grapes love this weather. When there is an exceptional vintage pronounced by the Consorzio it is worth taking notice. The recent release of the 2010 vintage is one of these exceptional vintages where perfect conditions were met across most of the vineyards – north, south, east and west. But how was the 2013 vintage? The Consorzio awards stars for each vintage and considers 2013 as a 4-star vintage for Brunello di Montalcino. 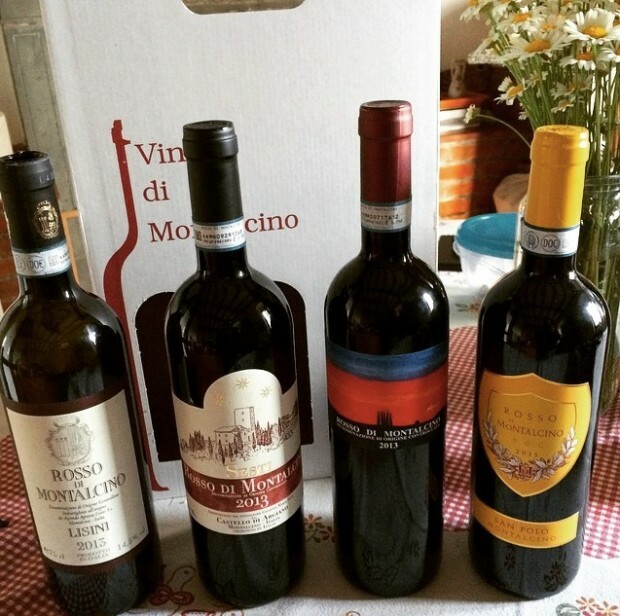 The 2013 Brunello di Montalcino has yet to be released, but to get an idea of the vintage it is possible to taste the 2013 Rosso di Montalcino that were released last year. The basic rationale behind the Rosso di Montalcino is to have something to drink while the Brunello is still in the barrel. Some may even be described as a small taste of the vintage of the upcoming Brunello. It was not always this way (and sometimes it still isn’t). Over the past seven years, there has been a marked improvement in the Rosso made with the same requirement of the 100% Sangiovese as Brunello di Montalcino. The Rosso seems to have been given more attention in its own right rather than as an after-thought to the Brunello. There are lots of discussions in town (and drama) behind this regarding appellation laws but it can be said that the rise of quality in Rosso di Montalcino has happened to coincide with the post-2008 global recession and the drop-off in bling buyers for expensive Brunello. Some winemaker’s have wizened up to the demand for this “baby Brunello”. Not that I like this term. With its own DOC, it can be seen as its own wine. We stocked up at the local wine shop on as many 2013 Rosso di Montalcino as we could carry. These four wines, below, are some of the better ones from what we tried (if you would like to see more of the wines we tasted in Tuscany, go to my Delectable page). If you are visiting Montalcino to taste Brunello di Montalcino and try local dishes, go to Osteria Porta Al Cassero on the edge of town. Park in the car park, pass the fort and it is in front of a small park. 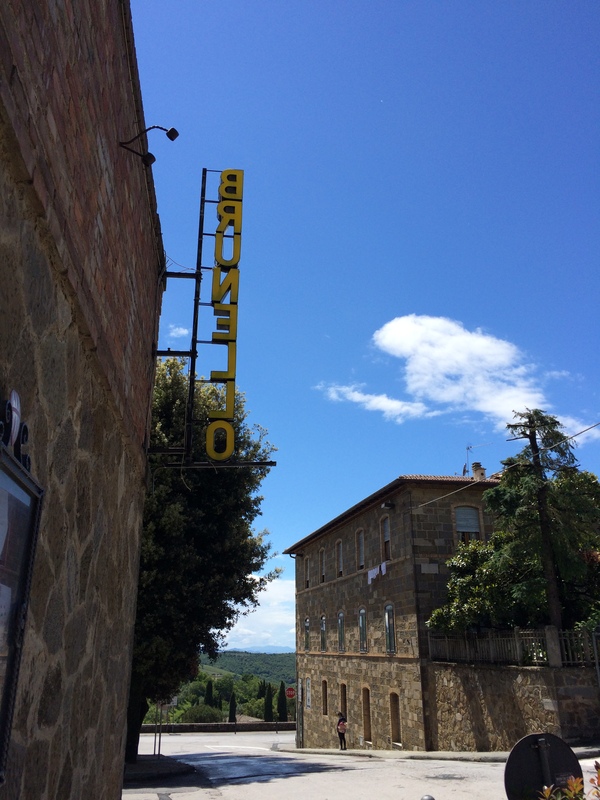 Whenever I am in Montalcino I have at least one dinner here at this small place, and on the weekends is reassuringly filled with Italian families taking out their grandmothers (and an Italian grandmother is not easy to please when it comes to food). They have typical hearty Tuscan dishes that feature beans, wild boar or ragu but they also have the local pasta called pinci (or pici in Siena) – hand-rolled, uneven-shaped pasta made without eggs. The wine list featuring wines from Montalcino is always interesting and well priced – we had the Pieri Agostina Brunello di Montalcino 2010 at a lower price in the restaurant than the retail price in the UK. They also have a good selection of wines by the glass featuring some of the more well-known names such as Banfi Brunello di Montalcino as well as smaller wineries not seen as much.